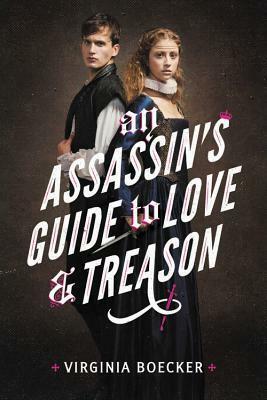 This week I'm excited for An Assassin's Guide to Love and Treason by Virginia Boecker! The author previously wrote The Witch Hunter series, which I've been meaning to read for a while now. I was intrigued from the title alone, and the description makes me even more curious. It features two spies on opposite sides of a rebellion in Elizabethan England. And they end up co-starring in a Shakespeare play, falling in love, and possibly trying to kill each other. I'm definitely planning on reading this!